Functional Training had its origins in rehabilitation among physical and occupational therapists and has evolved into a mode of exercise with a wide variety of intense, weight bearing activities which target core muscle groups of the body and challenge physical limitations of the user. Developing muscular endurance, building core stability and strength, burning fat and inspiring confidence are all beneficial by products of such activities. Training or Battle ropes, kettle bells, plyo boxes and landmines are just a few of the many specific products Troy manufactures which fall into this category and help us to fulfill our mission statement of shaping the world one body at a time. We encourage you to check out all of our functional training products, as well as others that are coming soon. 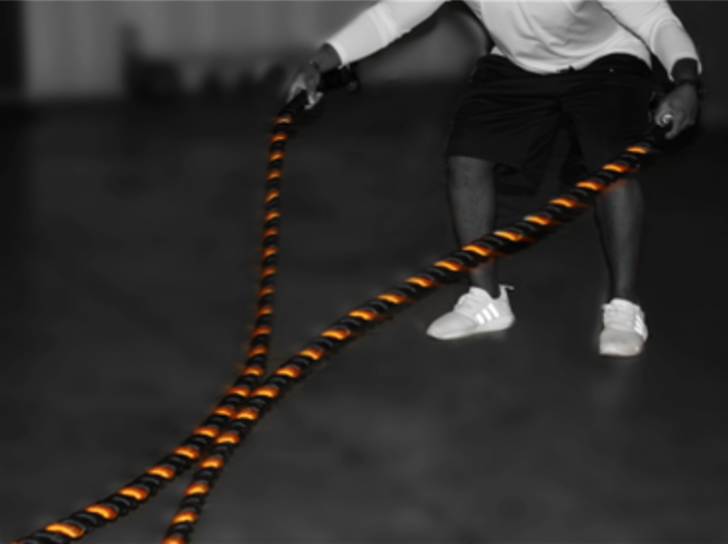 VTX Training Ropes provide an intense, full body workout. Each rope is constructed of fray resistant, polyethylene and sports durable rubber hand grips on each end to guard against rope burn. There are 2 different thicknesses (1.5” & 2”)and lengths (40’ & 50’) to choose from. Utilize the VTX training rope in your workout regimen as a fun and innovative way to burn fat, develop endurance and build lean muscle. Contact your sales rep, click the “Talk to Troy” icon or request a quote today to learn more about the all new VTX Training Ropes.